The 4Cs literacy program ﻿promotes﻿ pre-literacy and reading skills to children ages 3 - 5 who visit our store. Our school tutoring program provides one-on-one reading intervention to at-risk students in five Martin County elementary schools. This project is under the leadership of one of our dedicated volunteers, retired teacher Betty Mulligan. With 72 volunteer tutors, we are now helping about 258 at-risk students in reading. 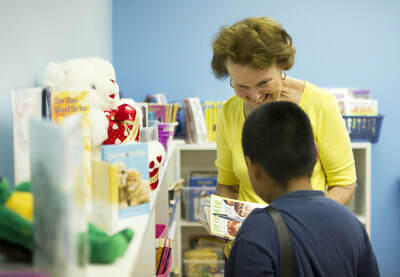 We also help more than 1,000 children each year in our store library. These are mainly pre-school age children who are not at a reading level to begin kindergarten, who have not attended any type of pre-K program and have had no early reading intervention. We give alphabet flashcards to pre-kindergarten children to practice at home. 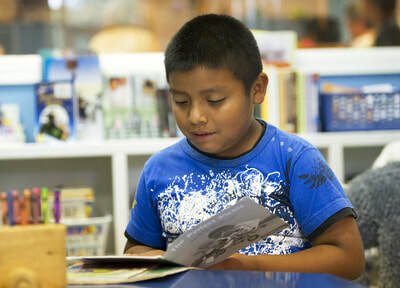 Our in-store literacy program utilizes volunteers who speak both English and Spanish to read to the children who visit the store. They assist parents with reading techniques and furnish grade level materials needed to help the child practice reading at home. A volunteer offers each child who comes to the store two books to take home. 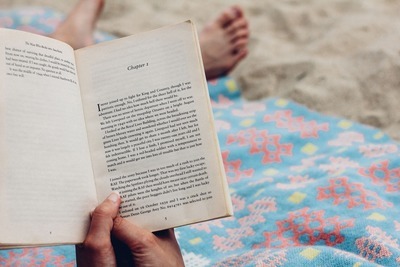 Videotapes in Spanish are used to instruct parents on the value of reading and to encourage parents to promote reading at home. Volunteering in our store library offers one of our most rewarding opportunities. Volunteers are always needed on Wednesdays, Fridays and the first Saturday of each month during store hours. Please call to find out more about volunteering: 772-221-8777. And, please help us to teach more children the reading skills they need with a generous donation today. We also need chapter books for our library.